GREAT OPPORTUNITY to get into the up and coming area of Indian Trail! Low maintenance RANCH home with OPEN floor plan in Cul-de-sac. Vaulted ceiling in Family room. Master Bathroom features a Garden Tub and separate shower. RELAX on the back patio overlooking a spacious fully fenced backyard. New HVAC 2016. New garbage disposal, sink, faucet and GRANITE countertops in Kitchen. Roof replaced in 2010. 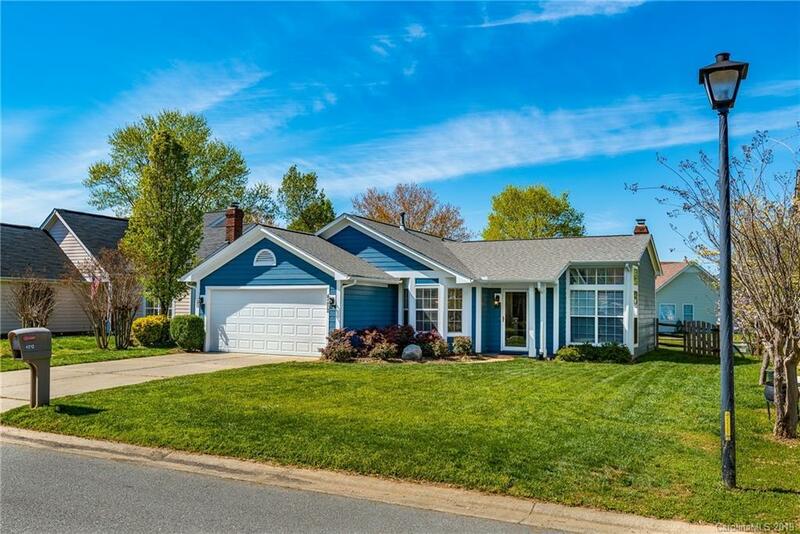 This METICULOUSLY maintained home is TURN KEY ready! CONVENIENTLY located near US 74 & I-485, shopping & restaurants. This is a MUST SEE!